Where We Belong, Believe and Become. Haven Students strives to be a place where everyone belongs, as we grow in our beliefs and we work to become more like Christ. Each week in our Student Building, 6th-12th grade students gather for worship, a message, and to break into small groups that are grade and gender specific. We believe that small groups are vital for the spiritual growth of a student, and our students look forward to small groups each week. 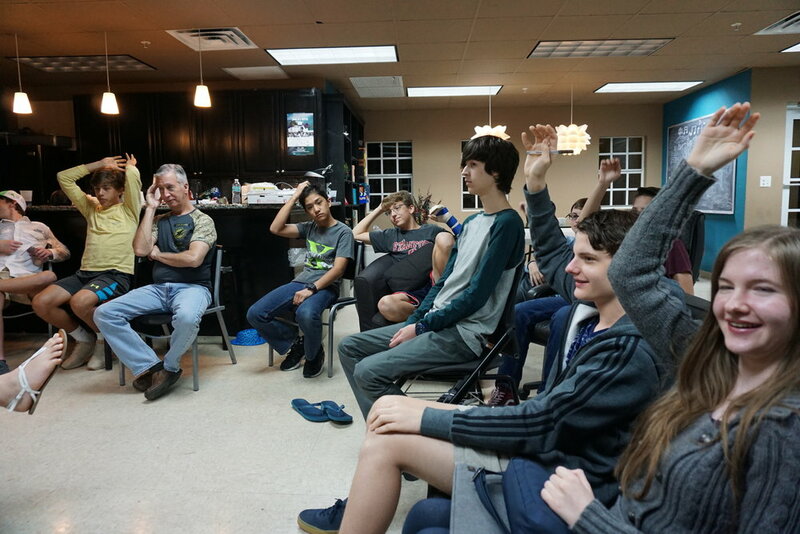 Wednesday nights are a more relaxed time for indoor and outdoor games, worship music, and a message about God’s word that teaches students how to walk with the Lord every day of the week. Plus…food! High School students meet every Sunday night for a variety of fun indoor and outdoor games, a time of worship, small group discussions, and a Bible-based message geared toward helping teenagers navigate the rocky waters of life in the modern age. Includes food! Our Middle and High School students meet every Sunday morning in the Youth Center across the street. It is a time when our students and leaders join together to worship the Lord in song, hear the word of God, and participate in discussions to learn how Biblical teachings can be applied to the life of a modern teenager in Miami. Want to know more about Haven Students?